This woman has ditched painful, time-consuming hair removal methods to embrace her natural body hair. 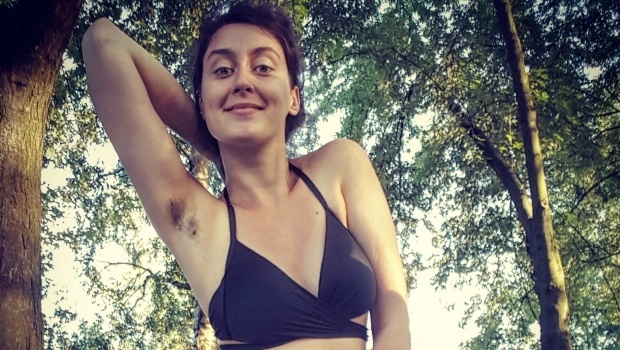 Body positive activist Kaya Szulczewska from Warsaw, Poland, first started removing her body hair as a teenager, after feeling pressurised to be smooth to fit in with her peers. The 30-year-old shaved, waxed, used hair removal creams and paid for laser treatments to get rid of unwanted hair. “I used to feel great pressure to remove my body hair,” said Kaya. “Regrown hair was a synonym of sloppiness and neglect in my eyes. Depending on the part of the body, I used different depilation techniques: shaving, waxing, depilation or laser removal. She believed that removing her hair would make her more attractive but after seeing other women embrace their natural bodies on Instagram a year and a half ago, she decided to do the same. 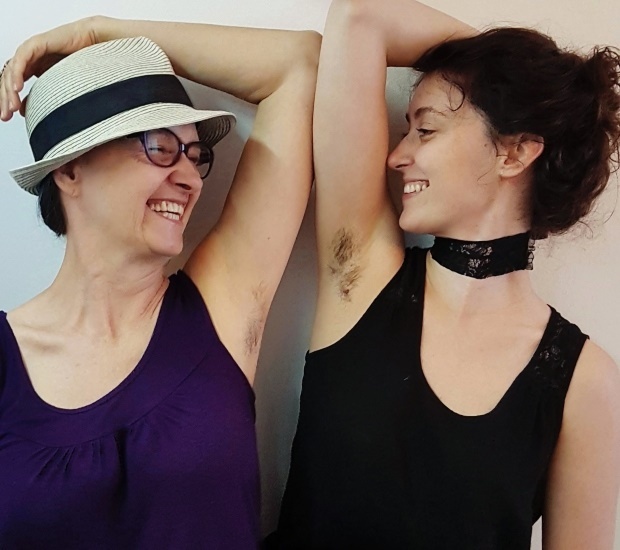 “I got inspired to grow my body hair by women who published pictures of their naturally ‘hairy’ bodies. I saw that body hair is a natural part of a woman’s body, just like the hair that grows on our heads. “In addition, if we reduce shaving, much less plastic rubbish and chemicals will be dumped so this choice is also environmentally friendly, which also matters to me. “I’d long believed removing body hair made me more attractive, but when I talked about it with my husband I discovered it didn’t matter to him. “He told me he’d been wondering for a long time why I kept removing my body hair while having skin problems,” she said. With the support of her husband, Misha, who reassured her she was making the right decision after seeing her painful ingrown regrowth, Kaya is comfortable with her naturally hairy body. Kaya’s mother, Sylwia, has also started growing her hair in support of her daughter. “My mom remembers the times when unshaven female legs in the Polish streets were quite a common thing to see. “She didn’t realise the pressure on women to be hairless was so intense in my generation. “We just never saw a hairy woman when we were girls. They existed neither in real life nor in ads, media or pop culture in general. “When I started to grow my body hair, my mom started to grow hers too to show solidarity, and some of my friends did the same,” she said. Kaya shares her pictures on Instagram and hopes to be an inspiration to other women. She receives negative comments, but refuses to let the judgment faze her. “The most common argument against body hair which people post below my hairy photos is that it’s unhygienic,” said Kaya. “But I’m asking: ‘Aren’t purulent pimples and irritated skin less hygienic than neat and clean hair? Should we make everyone shave their heads bald to make them more hygienic?” said Kaya. “If someone's head hair stinks we tell them to wash it, not to shave it, right? I think that this should apply to all kinds of hair. “People also make comments that body hair isn’t tasteful. 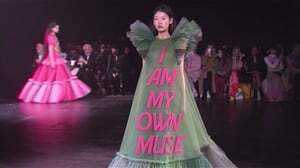 They forget that beauty trends change all the time, different people have different tastes, and there’s no need to criticise other people’s appearance. “The majority of hateful or judgmental comments are made by anonymous people on the internet, so I think it isn’t worth worrying about it. It’s impossible to please everyone. “I’d like to inspire other women and show them we don’t have to approve of the pressure of having hairless bodies. Just like with head hair which we aren’t forced to shave, we should be also allowed to choose the length of our body hair because it’s our bodies and our choice.